In an era in which we are seeing a return of defense boundaries everywhere, against terrorism, immigrants, commerce, history remembers us that everything changes, through space and time. The cities we live in are constantly mutating organisms stratified during the centuries. 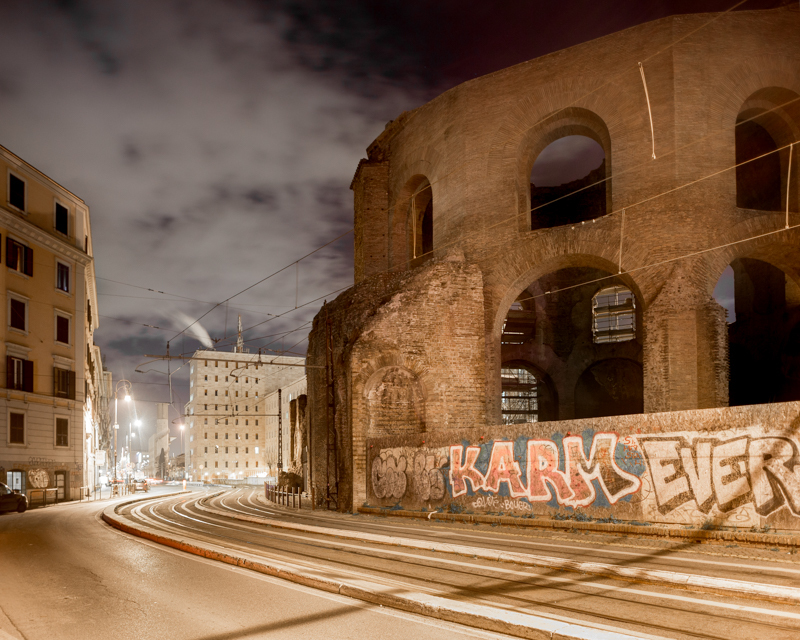 that’s particulart true for Rome, a city that more than others reveals the traces of its changes: The first defensive walls establishig an impassable limit nowadays go across the main railway station of the city, a symbol of connection and union, insted of separation. Remains of aqueduts and imperial terms are nowadays integrated in bulding whose inhabitants, often unaware, share their everyday lives with history, once solitary temples are now surronded by urban traffic, wrecked watchtowers, claim their stubborn presence in the city suburb. Silent witnesses of a glorious past, overpowered during the day by urban chaos, which speak again at night to tell us their long stories and that everything changes. In un epoca in cui si torna a parlare sempre piu’ spesso di confini, contro il terrorismo, l’immigrazione, il commercio, la storia ci ricorda sempre quanto il concetto stesso di limite sia labile e che tutto cambia, nello spazio e nel tempo. 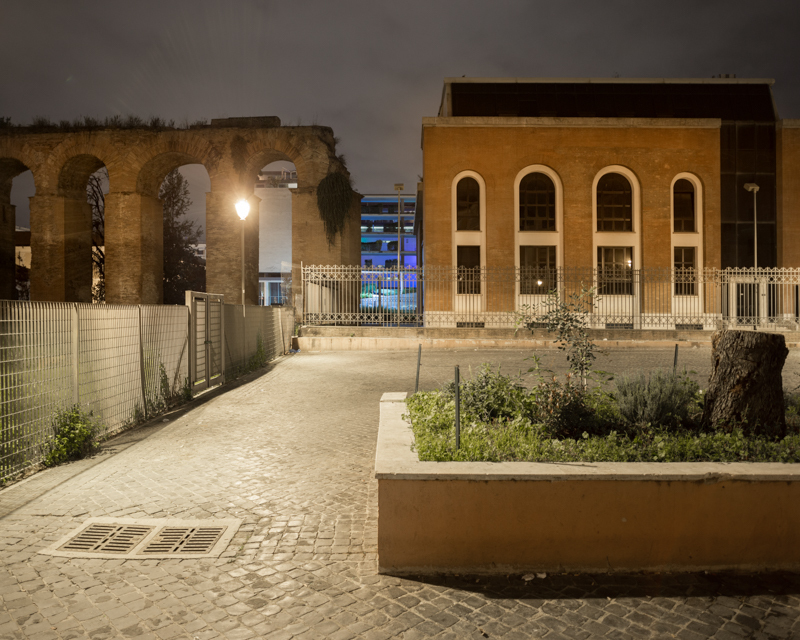 Le città in cui viviamo sono organismi in continua mutazione stratificate nei secoli, Roma in particolare rivela in maniera evidente le tracce del proprio cambiamento: le prime mura difensive che stabilivano un confine invalicabile oggi attraversano Termini, la principale stazione della città, simbolo di collegamento e unione anziché di separazione. 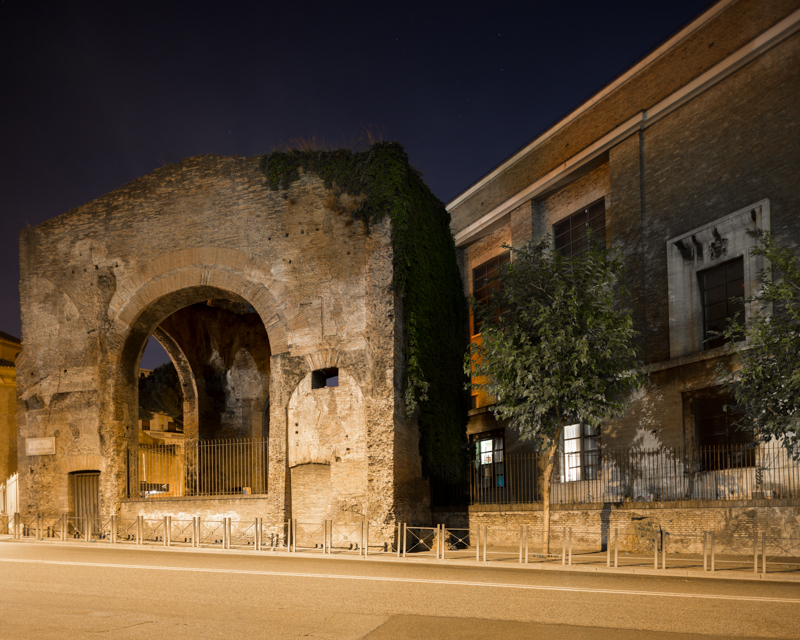 Resti di acquedotti e di terme imperiali sono oggi inglobati in edifici i cui abitanti, a volte inconsapevolmente, condividono la propria quotidianità con la storia, templi una volta solitari sono adesso circondati dal traffico stradale, torri di avvistamento ormai semidistrutte, reclamano ancora la loro ostinata presenza nella periferia della città. Testimonianze silenziose che di giorno sono sopraffatte dal caos urbano mentre di notte tornano a parlare per raccontarci la loro storia e che inevitabilmente tutto cambia. Built in the 6th BC. from the sixth king of Roma, the Mura Serviane were the first defensive walls of the city. Once symbol of defense and separation, today they cross Termini Station, the main railway station, symbol of union and connection. 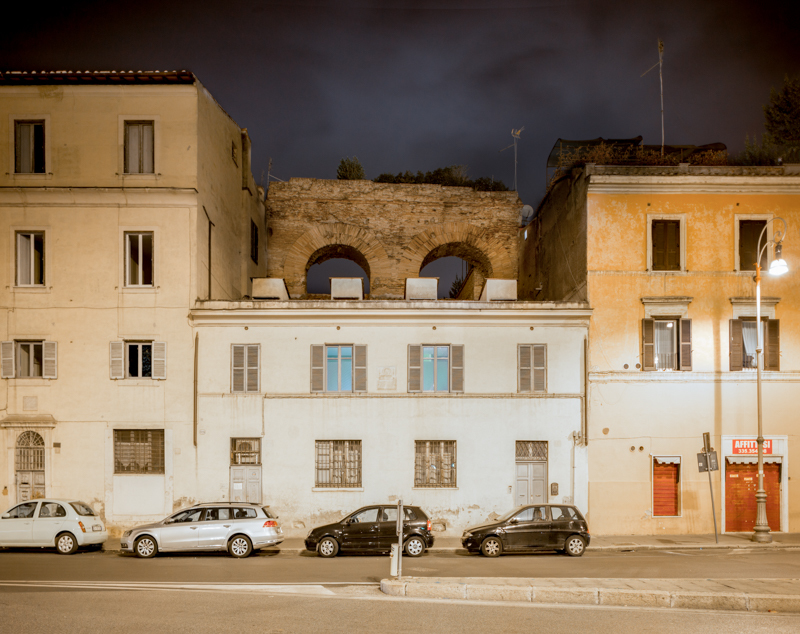 A 6th c. BC wall crosses a 20th c. AD building. 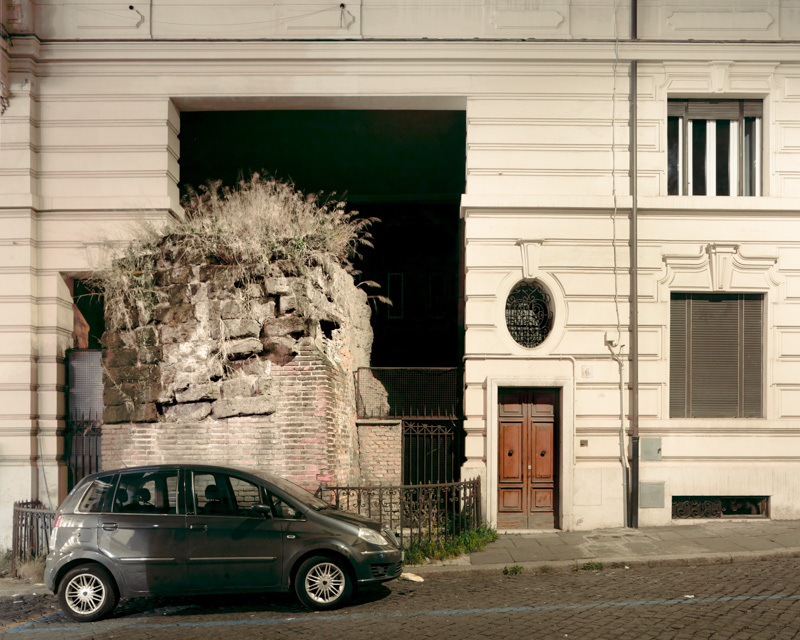 A section of the first defensive walls of Rome crossing a modern porch. 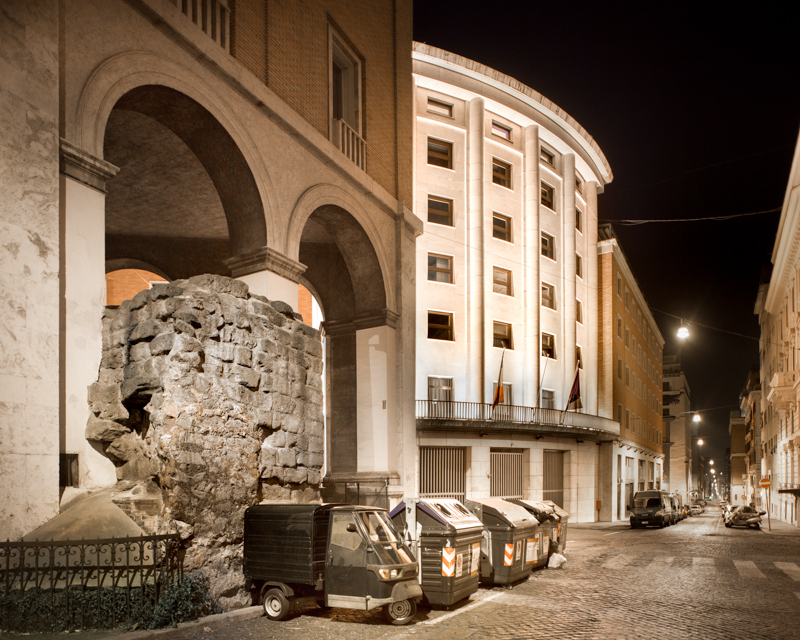 The Emperor Aureliano, at the end of 3d century AD, built a high defensive walls in order to defend the capital from barbarians, now part of its remains stand in a high traffic crossing between buildings of all ages. 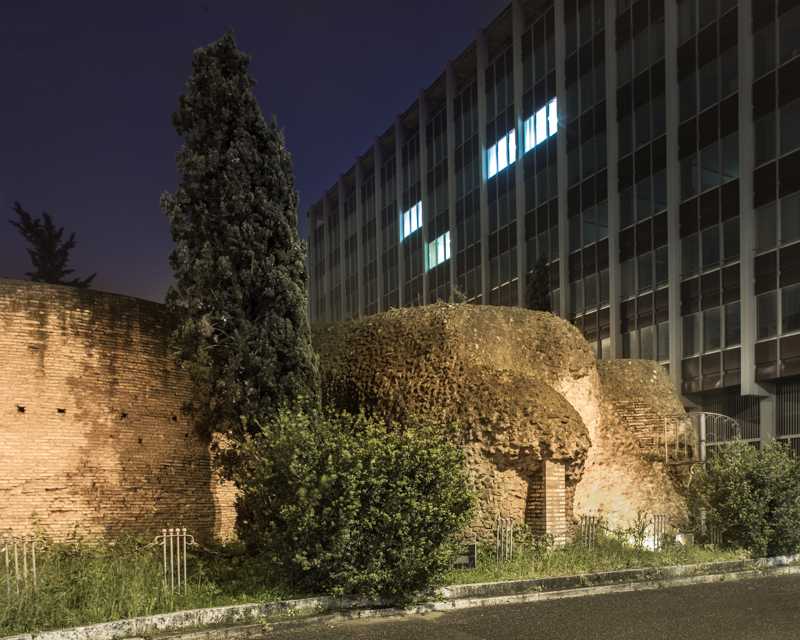 a 2nd c. AD water tank stands between one of the main road of the city and an office building. Nerone's acqueduct was built from the mad emperor in the first century to bring water to the lake of his notorious grand palace, the Domus Aurea. It was a seconday branch of The Aqua Claudia, the eight roman aqueduct, one of the most important due to its technology and its cost. Here it became a structural element between two houses. Remains of the main room of Therme Aggripae, the first roman public baths, built in 12 b.C. 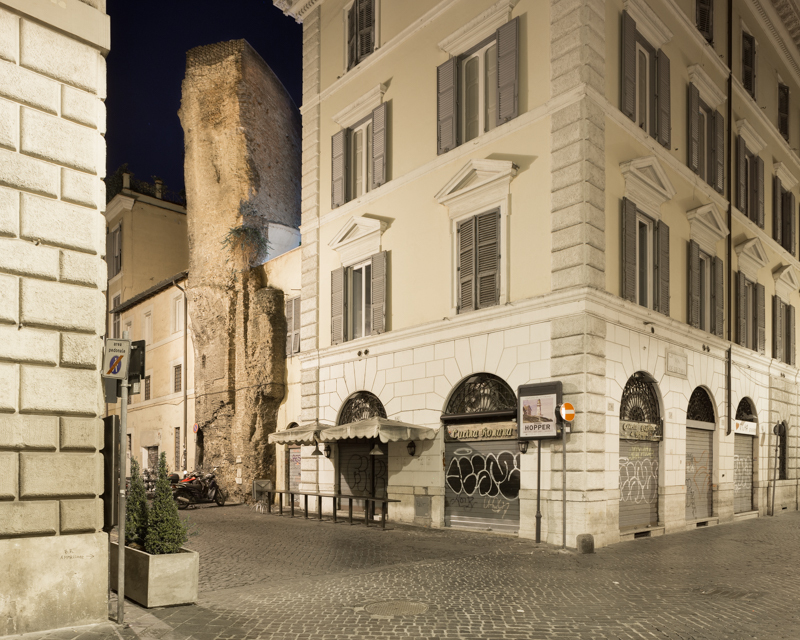 by the consul Agrippa, emerge near a typical trattoria. 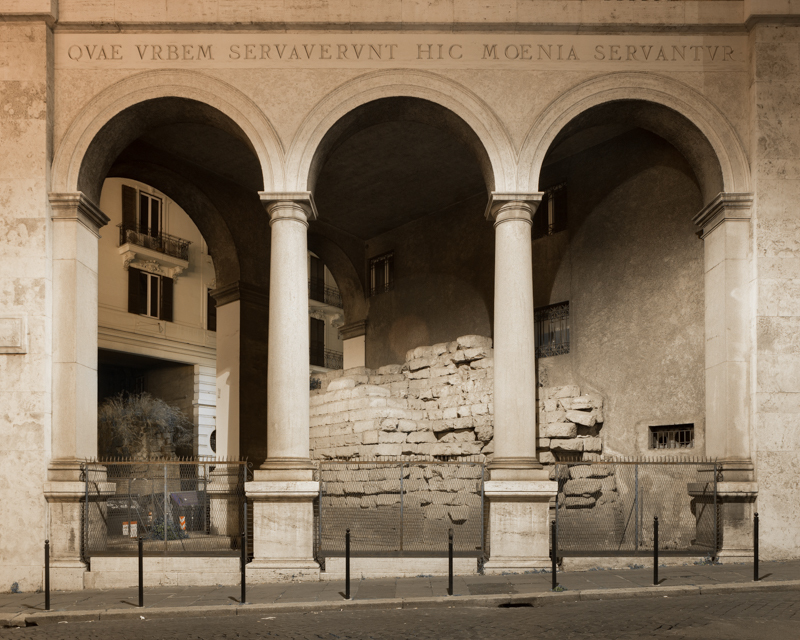 Remains of ancient Roman baths complex demolished for the construction of the adjacent road, a sign that now define a border with part of Vatican territory. The Old Aniene aqueduct was the second aqueduct of the city. 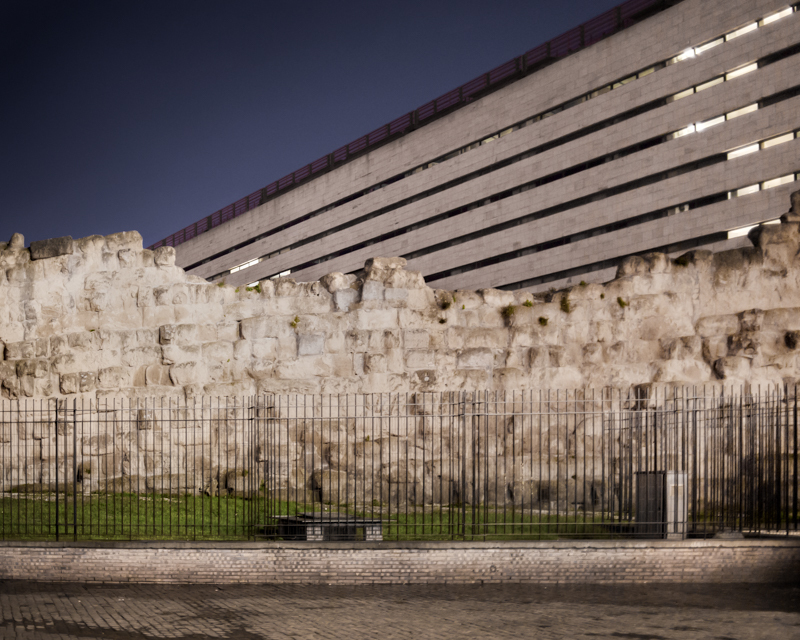 Part of the structure is still visible near Termini Station and its design resonates in the nearby building. A porch built in the 20th c. to showcase a part of 6th c. BC walls. built by Servio Tullio, the sixth king of Rome. Temple Of Minerva Medica (IV A.D) half surrounded by the tram railway. 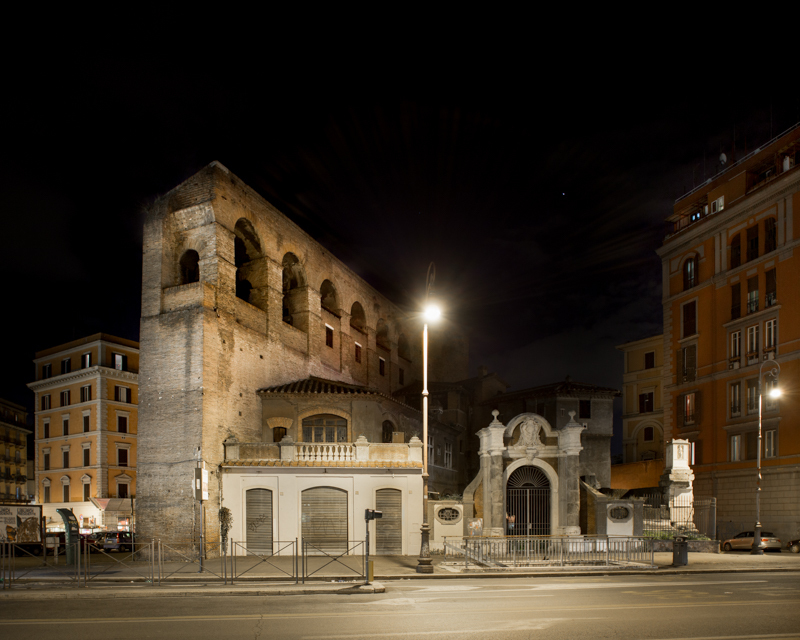 Domiziano's Stadium (I A.D.) had a capacity of 30000 people, now its remains rest under Piazza Navona and can been seen in the nearby buildings. 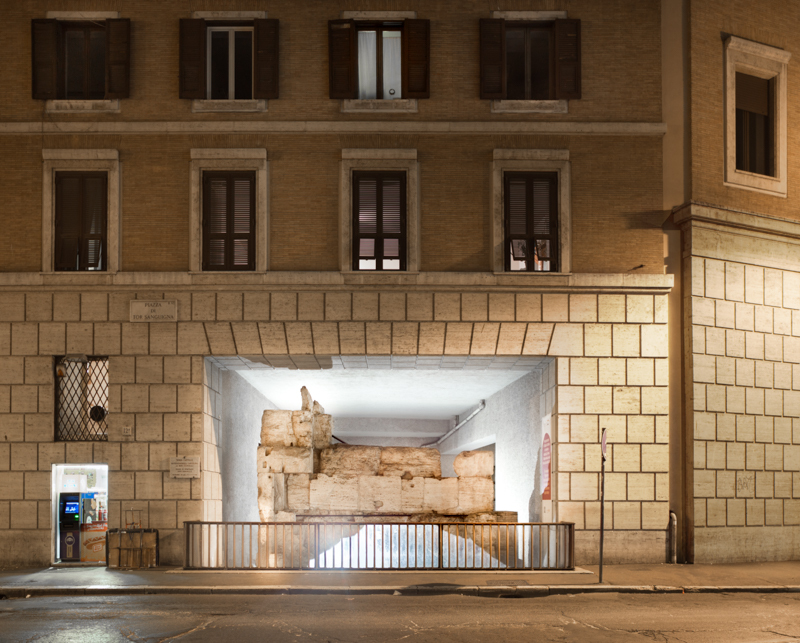 The Porticus Aemilia owes its name to one of its builder, Lucio Emilio Paolo, a member of gens Emilia, one of the most ancient roman family. 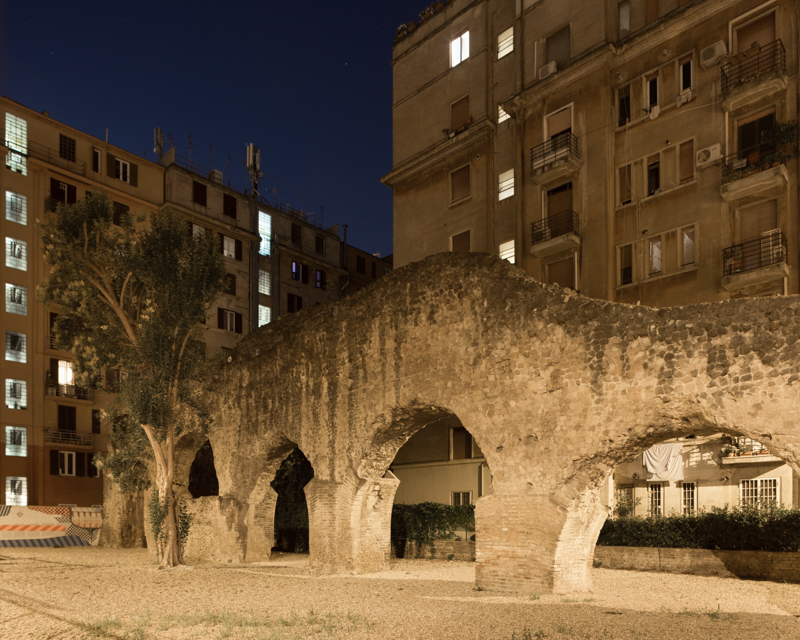 Built in 2nd c. BC, the porch was located near the river port although today is completely surrounded by public housing of neighborhood Testaccio. 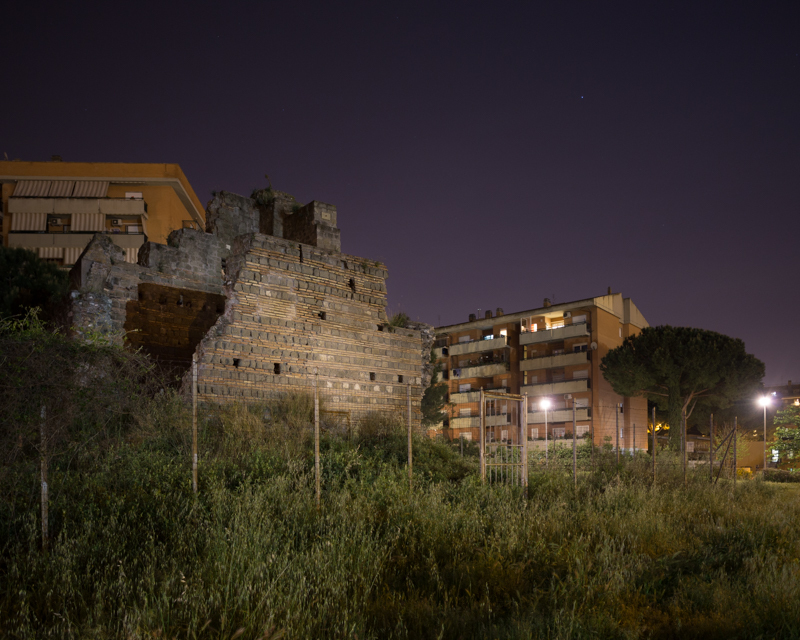 Torre Spaccata (the broken tower) is a medieval military structure built above a roman 2nd c. temple. Once part of a big house now stands alone watching the suburban buildings.